In this country, everyone should feel comfortable expressing themselves; it's a Constitutional right, after all. But once you've expressed yourself, you've entered the marketplace of ideas, and as such, you may be ruthlessly dunked upon until Twitter gets bored and moves on. We're sorry, it's the law. 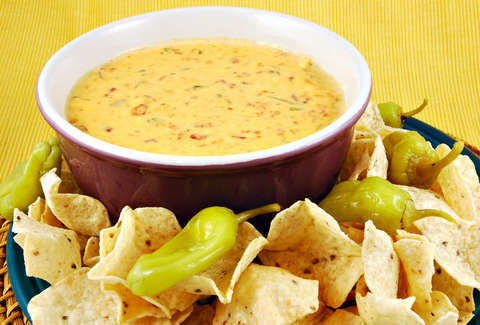 That's exactly what happened on Sunday when Fox News anchor Dana Perino posted a picture of something she called queso on Twitter with three words that will go down in history: "I made queso." Reader, she did not make queso. There's nothing we can say about that picture that hasn't been said about Fyre Fest, so moving on. Perino posted her recipe a few years ago, in case you'd like to try inflicting physical and emotional harm upon your loved ones with a cheese dish for yourself. In her defense, she did play along a bit. But good sport or not, once Twitter has started roasting you, you have to just let it run its course. Here are some highlights of that noble ritual. First, let's review the ones that at least involved cheese. And now, a few that are truly, almost unimaginably, mean. Naturally, there were pop-culture references, some more expected than others. And finally, perhaps the only truly inevitable one.